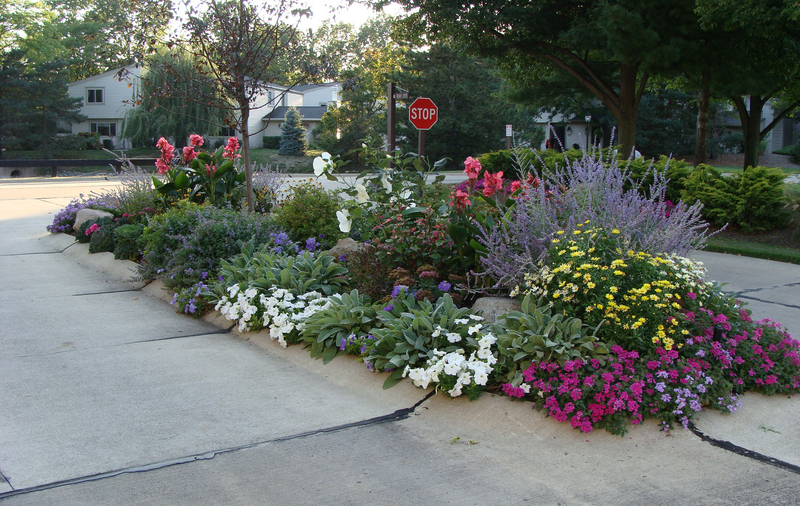 Tranforming a barren median entry into a colorful flowerbox. 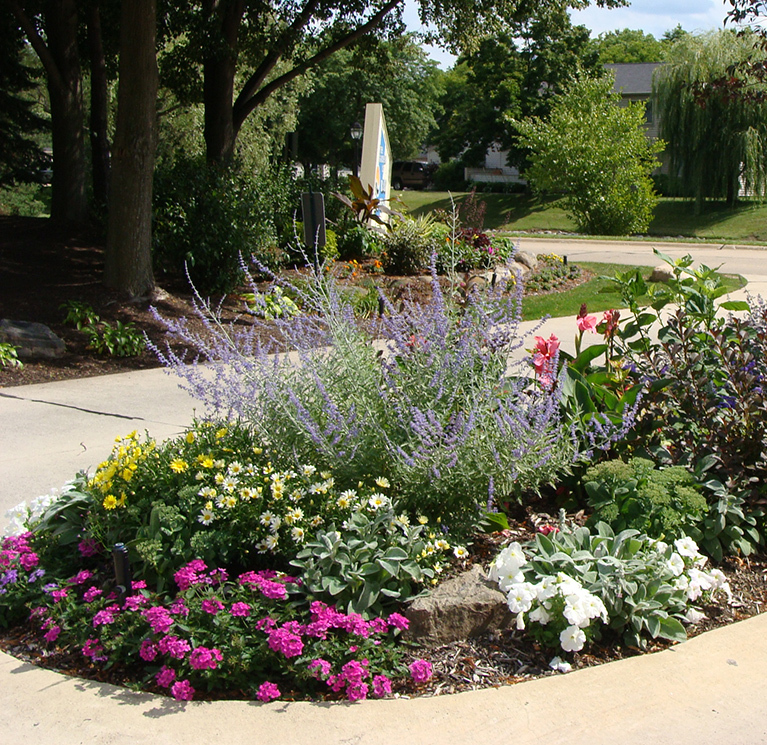 Condo Flowerbox Garden was once a blank median strip. Our goal was to create an eye-popping street sign. 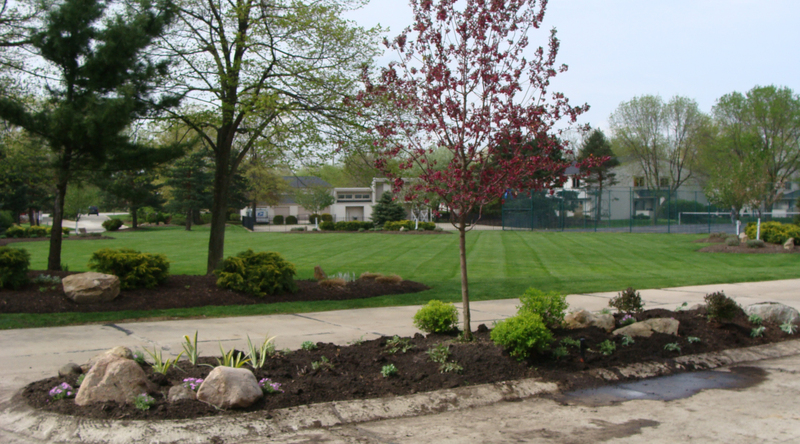 We achieved this by planting ornamental dwarf shrubs, perennials, tropicals and annuals. 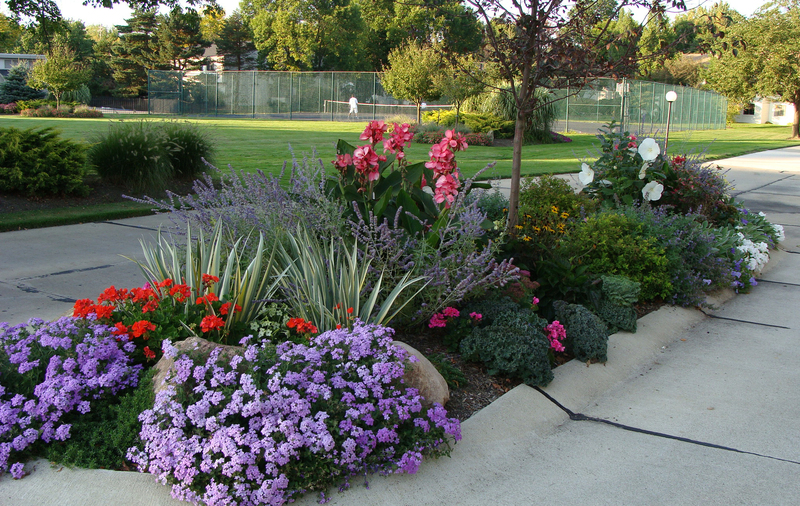 This provides a “season of bloom”— color all year. No GPS needed now!